Is your company a US flagged shipping company? If so, your vessels likely earned Amver participation awards. In the past Amver hosted an awards ceremony in New York City. While we haven't hosted an awards ceremony in several years we are proud to announce the return of the US Amver Awards ceremony. This year the awards ceremony will be held at the National Press Club in Washington, DC on May 21, 2009 starting at 5:00 pm. You should receive your invitation shortly. If you did not receive an invitation and are still interested in attending please send an email to Lloyd's Registery Fairplay. Amver would like to thank the following sponsors for helping reestablish the US Amver awards. Blank Rome, Inmarsat, Lockheed Martin, the North American Maritime Ministry Association, North American Marine Environmental Protection Association, Lloyd's Register Fairplay, and Safety at Sea International magazine. 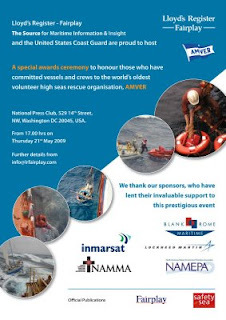 The Amver awards will take place immediately after the 2009 National Maritime Day Seminar (link to pdf). 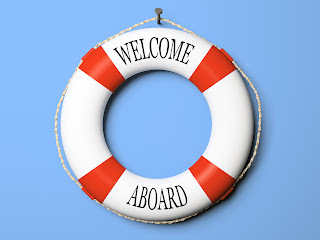 Another 23 ships enrolled in the Amver system this week. Its great to see vessel owners recognizing the importance of the Amver system and willing to have their ship participate. Have you enrolled your ships in the Amver system yet? Wondering how? 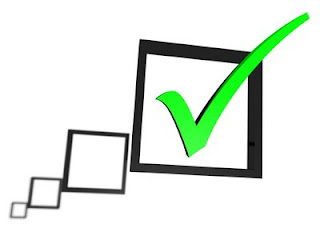 Use the online SAR-Q form to enroll and follow the instructions in the Amver User's Manual to begin reporting. Remember, Amver data is only used for search and rescue. Amver data isn't used for security purposes, anti-terrorism, or piracy issues. Have you recently enrolled? Leave a comment and tell us about your adventures. 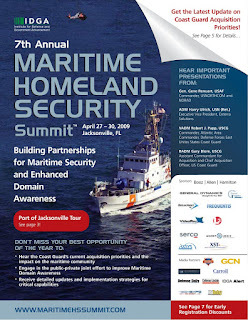 Today Amver attended the first day of the Institute for Defense and Government Advancement Maritime Homeland Security Summit in Jacksonville, FL. There are easily 300 delegates in attendance which, considering the economy, is a strong showing. There is a good mix of Coast Guard, Homeland Security partners, and industry folks participating. Don't worry. Amver is not considering allowing intelligence or security services access to Amver vessel data. Most of these services understand the unique nature of Amver. The conference started with remarks by USCG Captain Paul Thomas, Commander of Sector Jacksonville, who you may remember from a previous Amver case involving the reunion of a survivor and the ship that rescued him. That story can be found here. USCG Vice Admiral Robert Papp, Atlantic Area Commander, gave the USCG priorities for maritime homeland security followed by USCG Rear Admiral Steve Branham, Seventh District Commander, who gave an excellent overview of maritime threats, immigration, and drug trafficking operations in the Caribbean. The last speaker was retired US Navy Admiral Harry Ulrich who gave an inspiring presentation, sans PowerPoint slides, and asked the question "What do you do?" Admiral Ulrich boiled things down to one simple statement which resonated with the delegates. "People want to use our infrastructure to do harm to us from the sea", he emphatically stated. The remainder of the day saw topics such as programs for enhancing maritime domain awareness, implementing small vessel security strategies, inter agency coordination, and a dramatic presentation from Greg Flessate of Orbcomm on tracking AIS data from space. After a poolside lunch the topics continued including a discussion on the changing Arctic landscape, USCG capabilities update by Rear Admiral Wayne Justice, and other breakout sessions. We are looking forward to day two and will post an update at the close of the conference. The one take away that sticks in our mind was a statement by Admiral Ulrich who said maritime governance will take priority over maritime domain awareness. It's one thing to know what is happening in the maritime domain, it's another to have the tools, laws, treaties, and policy to deal with that awareness. Great point. What do you think? Are we putting all of our eggs in one basket? Is the world too focused on security? Tell us your maritime concerns. Once again United States Coast Guard Activities Far East hosted the Singapore Amver awards with support from Seatrade and the Singapore Shipping Association. The venue for this years awards ceremony was the Sea Asia conference and exposition. Singapore earned 500 Amver awards representing 2,273 consecutive years of Amver participation and 10 lives saved in 2008. A remarkable achievement. 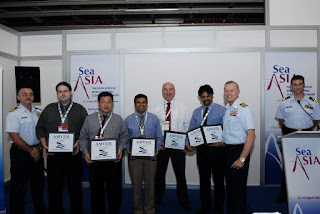 Congratulations Singapore Shipping Association and those vessels that earned Amver awards in 2008! Pictured are United States Coast Guard Captain Gerald Swanson, Lieutenant Commander William Sieben, and Lieutenant Eric Stahl of Activities Far East with representatives of Singapore based shipping companies who earned 15 year Amver participation awards. Thank You Marketing Over Coffee Guys! Last week, while listening to an episode of Marketing Over Coffee, the hosts John Wall and Christopher Penn offered to give a listener a ticket to the upcoming Inbound Marketing Summit in Boston this September. We emailed and requested the ticket and learned we won! So Amver is looking forward to learning more about social media, Twitter, marketing, and sharing our success with other marketing professionals. Thanks guys. See you in Boston! It's that time again. Here are the latest additions to the Amver family. We are pleased to have them participating. These 30 new ships join the ranks of others helping to ensure no call for help goes unanswered. We look forward to recognizing all Amver's new participants in the 2009 awards! The issue of Arctic shipping remains on the minds of many. Shrinking ice coverage, increased tourism, and the environment are all topics of conversation when you mention the Arctic. Amver is very happy that Mr. Thomas Paterson, Vice President of Fednav's Owned Fleet and Business Development division, took the time to answer some Arctic related questions for us. Tom does not shy away from telling things like they are. As an experienced mariner Tom sailed on many ships enrolled in Amver and participated in some rescues. On with the questions. 1. There has been considerable attention paid to the decrease of Arctic sea ice and opening of shipping lanes. Some have gone so far as to claim shipping through the Northwest Passage will become routine. Does sailing through the Northwest Passage really save time and money? Well it depends on where you start the passage and end, but what really matters is what average speed the vessel will be able to maintain through Arctic waters which are ice infested. For example, a non ice class vessel sailing from New York to Shanghai in early August will save about 2,900 miles gonig via the NW passage (7.500) versus sailing through the Panama Canal (10,600), BUT as soon as the vessel gets North of 60 degrees North it is likely to encounter fog and then bergy bits and growlers. This is a huge risk to a vessel, particularly a non ice class vessel. The Collision Regs dictate that the vessel "Must at all time proceed at a safe speed, taking into account the prevailing circumstances and conditions." Certainly poor visibility with growlers in the area would mean the ship would have to slow down considerably, possibly even stop if the visibility is less than a ship's length. I would say that a non ice class vessel would be doing well to average about 10 knots from 60 degrees North to clearing Point Barrow to the West. Meanwhile the ship going through Panama is steaming at say 15 knots and has already sent his ETA to Shanghai, with much less risk of damage or delay. At the end of both voyages there will be very little difference in the arrival times, except the vessel going via the NW passage may have sustained some hull damage and had quite an adventure. There are also draft restrictions of about 12m-13m at the western side of Coronation Gulf. 2. Excluding resource exploration what is the demand for vessels in the Arctic? Is there enough demand to support increased shipping? The demand at the moment is reduced as a result of the global economic crisis. When world markets rebound, so will the mining, oil, and gas projects in the Arctic region. 3. Are Arctic ports and infrastructure prepared for an increase in vessel traffic or Arctic tourism? In my opinion there will not be a big increase in through traffic in the near future, perhaps a few ships per annum. With respect to ships exporting or importing cargoes within the Arctic, each new project will build their own port facility as required for the expected annual volumes. 4. Both the United States and Canada have limited ice breaking capability. What does government need to do to facilitate Arctic shipping? Is building more ice breakers enough? Building new capable icebreakers would be a good start, but when will that be? For example, the issue of sovereignty in the Arctic is important to Canada; I think the Northwest Passage can be properly monitored by having icebreakers positioned around the Resolute Bay area in Canada. These icebreakers would need to be capable of operating all year round if required. 5. Arctic shipping poses unique threats. Are there adequate shore based resources to assist in a response to an emergency in the Arctic? Again, I do not subscribe to the increase in traffic predicted by others. Shipowners will only transit if they can see good profits with an acceptable risk. Indeed there are a shortage of resources, but I think in this case the traffic will have to 'come before it is built', rather than 'build it and they will come'. 6. While several vessel tracking schemes are emerging many are dependent on satellite communications which may be spotty in the Arctic. Does an Arctic vessel tracking mechanism exist? Should there be compulsory vessel tracking in the Arctic? I do not believe that a tracking system exists, but I cannot think of a good reason not to have one. There should be compulsory reporting for all vessels sailing in the Arctic- after all it is for their benefit as well as the authorities. 7. Fednav is a strong supporter of Amver. Would you suggest all vessels sailing in the Arctic participate in the Amver program? Absolutely. It is common sense and doesn't take much time for the duty officer to file his report. 8. Sovereignty remains an issue in the Arctic. Will sovereignty issues hinder increased shipping? How is the Canadian government approaching the possible increase in vessel traffic and offshore exploration? As far as Canada is concerned the traditional route through the Northwest Passage via Coronation Gulf is all Canadian waters and I agree with this. I really believe that a new icebreaker capable of year round navigation in the Arctic is the best solution for our Government. My understanding is this new vessel is now at the conception stage within the offices of the Canadian Government. 9. How quickly can conditions change in the Arctic? Couldn't an ice class vessel just slow steam and plow through the ice? Conditions do change quickly and there are many factors to consider. It is not so simple as slowing down in some situations, especially in the mobile pack ice where the vessel pitching in a heavy sea state can result in shipping large pieces of ice on deck. Certainly in land fast ice the icebreaking type vessel can indeed plow through the ice and the wind has little effect in this situation. 10. This question comes from one of our search and rescue controllers. With limited rescue resources in the Arctic, particularly on the Western side, what sort of planning takes place to either prevent incidents or coordinate search and rescue efforts? Are there any industry/government partnerships? All the vessels operating in the western Arctic are operating in the summer months only and their daily movements are closely monitored by the companies operating these vessels. It is rare to have only one vessel in an area and therefore vessels keep in touch with each other. The Red Dog operation in Alaska has 4 tugs in attendance from about July 1st until mid/lade October, so if there ws a marine distress/emergency in the western Arctic they could be asked to assist. Also most of the vessels operating in these areas are experienced operators and have planned thier voyages very well. I am not aware of any government/industry partnerships to cover distress situations. Amver thanks Fednav and Tom Patterson for their participation in the Amver system and their willingness to answer 10 questions. Have you read the gCaptain post about the release of the Cruise Ship Explorer accident investigation report? You can read the post here. Among other things, the report specifically praised the Captain of the Explorer for his decision to have the passengers abandon ship. You can read the full report here (link to pdf). The sinking of the Explorer underscores the importance of vessels participating in the Amver system (you can enroll your vessel here). As vessels transit austere areas of the world they become each others lifeline. Thankfully the Cruise Ship Nordnorge, an Amver participant, was available and rescued all passengers and crew. The incident also demonstrates the need for a robust mass rescue plan and adequate search and rescue plans of cooperation. To learn more about the United States Coast Guard Mass Rescue Program visit this link. The master of the Nornorge (pictured above) during an awards ceremony in Washington, DC. Several people have posted comments on the Amver Facebook page about the increase in piracy. Many people want to know if there has been an increase in pirate attacks, if Somalia has been a hotbed of piracy, or what can be done to prevent some of the attacks. 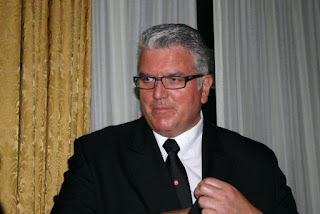 Peter Mello recently posted a great piracy follow up piece on his blog Sea Fever. Head over to his blog to read about piracy as it was a year ago. Peter has some great links and topics including how, at the time, the United Kingdom was providing asylum to pirates. Perhaps that sentiment has changed. If you like his blog, consider listening to his podcast, Messing About In Ships, which he co-hosts with gCaptain. 97 years ago today 1,517 people perished when the RMS Titanic sank in the icy waters of the North Atlantic. Amver traces its history from the Titanic disaster and today works to ensure no call for help goes unanswered. If you are in Southwest Washington, DC today stop by P Street, SW near Fort Leslie McNair and visit the memorial (pictured below) erected by the Women's Titanic Memorial Association in 1931. To the brave men who perished in the wreck of the Titanic April 15, 1912. They gave their lives that women and children might be saved. Erected by the Women of America. If you are in New York City there are six memorials in Manhattan that have something to do with Titanic. Take a moment and remember those that were lost. It's that time again. Another 48 ships enrolled in Amver in the past week. With considerable attention on the Maersk Alabama lets not forget the vessels that make themselves available every day to help others in distress at sea. The Alabama is one of those vessels. These ships join the Maersk Alabam's ranks. We hope these ships are never called upon to assist a mariner in distress and we look forward to building a strong relationship with them. Thanks for enrolling. Our shipmate and boss, United States Coast Guard Commandant Admiral Thad Allen, will be on television Sunday, April 12, 2009 to talk about the current piracy situation. Several other Flag officers will also be on the Sunday morning talk show circuit. 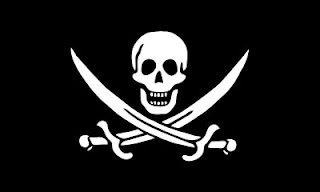 You can read more about piracy and get the television schedule on Commandant Allen's blog here. Are you wondering how you can show your support to Captain Richard Phillips and the rest of the crew of the Amver participating Maersk Alabama? Maersk has established an email address we can send thoughts of encouragement to the crew and family of these brave shipmates. The email address is maerskalabamasupport@maerskline-usa.com. Feel free to send your message of support as we wait for our shipmates to return. What thoughts would you like to share on the Amver blog? Leave them in the comments section. 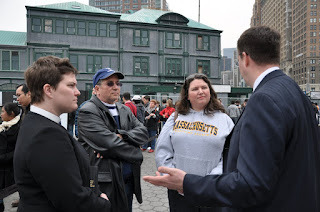 A brief prayer service was held at the American Merchant Marine Memorial in Battery Park, New York City on April 10, 2009 for the crew of the hijacked boxship Maersk Alabama. Among the participants was a Massachusetts Maritime Academy alumna who was touched with the show of support for the master and crew of the Maersk Alabama. Benjamin Strong, Director of Amver Maritime Relations, and The Reverend Megan Sanders, Port Chaplain of the Seamen's Church Institute addressed the gathering. The Maersk Alabama's participation in the Amver system was highlighted along with words of encouragement for the Alabama crew, their families, and all seafarers. Tradewinds reports the crew of the Amver participating box ship, Maersk Alabama, has retaken the ship. The report also states at least one pirate is in crew custody. The maritime media are reporting an Amver participating box ship was seized by Somali pirates. According to a report from Maersk, the US Flagged Maersk Alabama, an Amver participant since 2004, was seized early April 8th approximately 500 km from the Somali coast. The vessel was sailing to Mombasa carrying 400 twenty foot containers of food aid for the World Food Program. 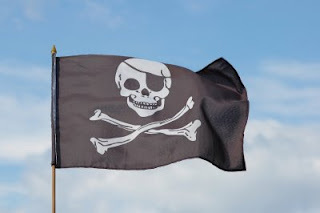 Lloyd's List reports there are currently 7 vessels and 122 seafarers being held by pirates. Additional information, including a live piracy map, can be found at the International Maritime Bureau Live Piracy Map here. We will keep readers posted on updates as we receive them. It's hard to believe another week as passed. We are happy to welcome the latest members of the Amver family. Remember, the oceans remain a dangerous place. In order for Amver to be a success we need the cooperation and participation of the world's maritime fleet. The more vessels Amver has on plot, the greater the likelihood a vessel will be near a distress and can assist. Let's extend a warm welcome to these latest vessels willing to ensure no call for help goes unanswered. We are debuting a new feature here on the Amver blog. It's called 10 Questions With ... and it will feature ten questions with an influential person in an interesting field, usually maritime related. The first person we interviewed isn't really a maritime expert but he sure knows about social media. Chris Brogan has helped us on our journey into social media and we thought his knowledge and expertise would be beneficial to our readers; government and otherwise. The world of information sharing is changing quickly. We will either adapt to it, or be overcome by it. Let's see what Chris has to say and see if we can't adapt our business practices to this new way of communicating. Without further adieu; ten questions with Chris Brogan. 1. There is lots of talk today about Facebook, YouTube, blogs, and Twitter. Reporters, celebrities, and our children are all using social media. What is this thing called social media? I like to call it the two-way web. In the old days, the web was basically a place to get information: read a page and go home. Now, it's a place where people can gather in different configurations and share information, opinions, and communicate. 2. Should businesses be using social media to communicate with their customers and employees? Internally, yes. It's a lot easier to use than email and has more value. It's searchable, less cumbersome, has ways to store important information, etc. Externally, there's a question: is your business ready to answer a new "phone?" To me, social media technology is a lot like installing a new kind of phone, and it requires answering. Are you hoping to engage with your customers and prospects (or your suppliers)? These tools are really important advances. The improve the way we build business (and other) relationships. It's not just a "shoot and run" event, though. It requires a bit of a plan for HOW you're going to integrate it in. It's not like throwing a fax machine up in printer room. 3. Can public relations/public affairs departments simply dump traditional techniques for spreading the word about their company or products and start a Twitter feed or blog? No. I don't think killing the traditional channels is the right idea. Instead, I think it's an opportunity for PR/PA departments to determine just how much effort is finding impact. Blogging means more than publishing your press releases onto a blog, though that's not always bad. It means that there are opportunities to connect in more meaningful ways. There's a transition, a bridge, a sens of what these new tools can do for PR/PA groups. Think about video for a moment. That wasn't how PR worked even last year (widely), but now, if you're not using a Flip video camera and throwing up fast little clips from time to time, you're missing many opportunities. 4. We have seen instances of emergency management agencies using Twitter and the White House started a blog. Even our own Commandant has his own blog. How can government use social media? Governments have so many opportunities to use social media. They are. The TSA blog is brilliant, for example. Yes, they get hundreds of negative comments, but they also get lots more engagement than many other government agencies from passionate citizens. Governments can use Twitter to build fast communications channels for emergencies, for news, etc. The CIA is using the heck out of social media right now, and not just for investigations. 5. What about the Chief Information Officer? How can employees and users convince the C suite that social media is right for the company? If you're a CIO, this is a kind of freak-out moment, but it's also a very important shift in business. The business part of companies is starting to drive IT decisions more than in previous years. Social tools have spurred changes in Enterprise tools, and employees using social platforms like Facebook have changed our desire to use similar tools for business. CIOs have a lot of opportunities in this new space. The tools are less expensive. They are modular. they are mostly web-based apps, so can run off the Internet or behind the firewalls. It's a chance to try new things for low money and with potential new yields in productivity and innovation. 6. What training or books are available for practitioners to learn social media? This is where it gets tricky. Tools are springing up every day. If you're getting a book, it's about six months out of date by the time you buy it, and that's assuming you bought it on day one. It doesn't make the books bad. I've got a collection of them stored up on Amazon. Better still is to learn from a series of blogs, and/or to attend a few conferences that relate to the space. Different people are crafting different takes on educating people in social media. The LEAST best way to learn is by buying a solo individuals training product. My guess is that it won't be inclusive enough, and it will cause you consternation and send you down the wrong paths. Getting good B2B information, and/or government-focused information is tricky, but then the U.S. Air Force has some great blogger guidelines, so it's not unheard of. 7. The maritime sector is rather niche. Can social media work for such a unique sector? The beauty of social media is that it addresses niches. You don't have to swim around in the open ocean. You can build your own safe harbor, dock your own resources, and send out supply ships for what you need from the outside. That's EXACTLY what social media is for. 8. What advice would you give novice social media practitioners? Be helpful. Always. If you can help others, it will always come around. Also, realize that this is a pit like planting crops. If takes soil-tilling, fertilizing, weed-pulling, and plain old fashioned time to wait for the food to grow. Don't jump in and expect the world. Learn the land, and get involved. 9. What if my company blocks social media applications? Are there really any risks to letting employees access social media sites? Are the gains worth the risks? There are risks for sure, but they are the same kids of risks that email policies cover. I don't know how companies will be able to keep social applications out. With smartphones, we're bringing our networks with us. 10. Will we be left in the dust if we decide social media doesn't fit our business model? No. There are plenty of business models that might not connect well with social media. If you're in a high security setting, this is opening up a whole new set of holes. If you're in a business where you can't afford to care about the opinion of your customers (be those internal or external), then maybe it's not the right tool. Don't let all these crazy consultants fool you. Not every wave that hits is your wave to set sail upon, but you know that. Chris has certainly helped Amver learn about social media. The United States Coast Guard has also embraced social media and issued its own guidelines. 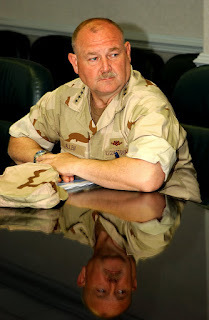 Our Commandant, Admiral Thad Allen has his own blog and has even posted his thoughts on social media through a video post. I hope these questions and answers spark a dialogue in your own organization about the use of social media. If you are already using it perhaps this answers some of the questions you have about it. If you are on the edge, perhaps this will spur you to action. Either way, we hope you enjoyed our first 10 Questions With... segment. What do you think? Are you using social media? How are you incorporating it into your organization? The IAMSAR Manual is the "checklist" used by search and rescue authorities when establishing, organizing, and executing cases. Volume III is also used and carried by many commercial airlines. That said, the working group responsible for bringing you the IAMSAR Manual would like your input. 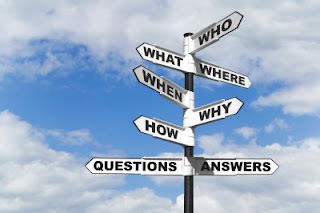 Please take a moment to answer the 10 questions so a better manual can be developed for your use. Your participation is appreciated. It's time once again for our weekly Welcome Wednesday feature. Please extend a warm welcome to the latest members of the Amver family. In the past week 35 new vessels have enrolled. These vessels are dedicated to ensuring no call for help goes unanswered. Thank you for enrolling in Amver. While we hope you are never called upon to assist, the oceans are safer because of your willingness to participate. Have you served on any of these ships? Are you working on one now? Leave a comment and tell us your story.